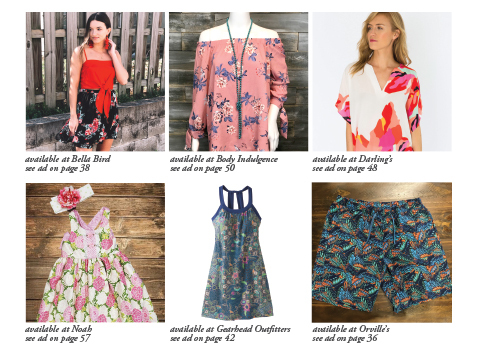 Thanks to local retail shops and boutiques, keeping up with the latest spring fashion trends doesn’t have to be a struggle. 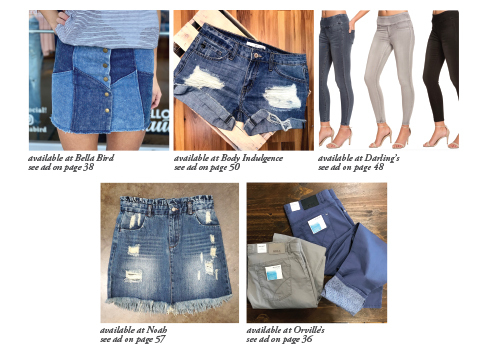 Whether you’re searching for the latest prints, patterns and colors or want to spruce up your denim collection, the following trends are sure to give your wardrobe the update it needs for the coming season. Seeing a floral print on a dress or blouse isn’t something that is too out of the ordinary for spring. This season, a retro take on the popular trend is sure to bloom in full force. Whether it’s a retro floral pattern on a pair of pants, a blouse, shoes or dresses, incorporating these garments in your spring attire is sure to make a sleek statement. Retro floral patterns were recently made popular by high-end lines such as Gucci and have begun to transition into more affordable street wear lines. To accomplish a retro floral look, try mixing the pattern with a more modern garment to give the overall look a refreshing feel. The bigger and bolder the floral pattern, the better. 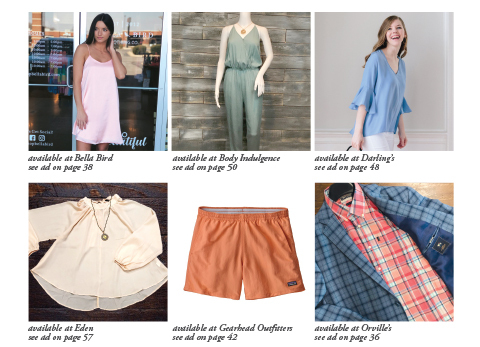 This soft and sweet trend is making its way back into the fashion radar for spring. To those who have never found themselves attempting a pastel look, try finding a pastel pink or lavender garment and pairing it with a neutral base. Pairing a pastel blouse with a fitted white pant is also an easy way to accomplish this trend. For a more eccentric and fun take on the pastel trend, try pairing a pastel garment with a bright, neon piece. An example of this look would be a pink pastel sundress or fitted top paired with a spunky neon pink blazer. Having the perfect pair of jeans is a must for any season. Over the past few years, skinny jeans, mom jeans and cropped jeans have continued to remain relevant when it comes to staying on-trend. To add to the list of jean trends, the throwback denim look is something that will be seen a lot in the coming seasons. 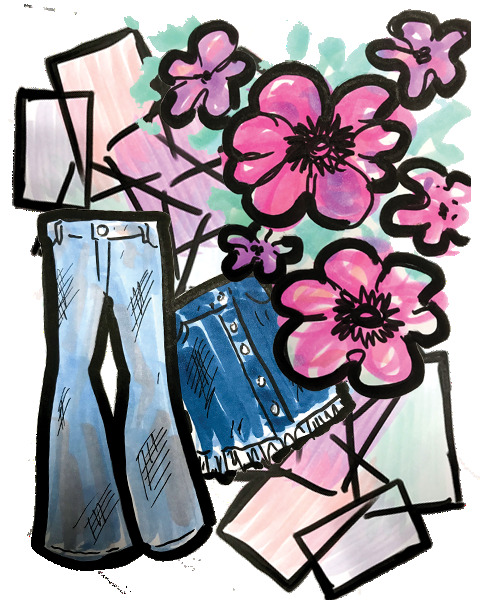 The throwback denim category includes styles such as flare, acid wash, low-rise and high-rise jeans. Made popular in the ‘60s and ‘70s, these styles of denim are being offered in boutiques in several color and design options. Pairing a flare or high-rise jean with a fitted top or graphic tee will become a popular trend in coming months. Throwback denim jeans and jackets can also be found with colorful embroidery, adding the perfect amount of boldness to any look.